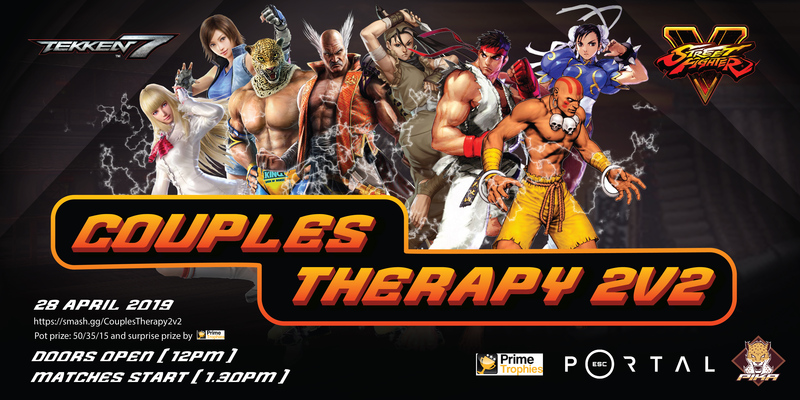 Choose your playdate and come up with your couple name for an afternoon full of well-needed therapy sessions! Registrations and online payment are now open on smash.gg and will close at 11.59pm on Wednesday 24th April 2019. Registrations will be still be available on smash.gg, however payments after Wednesday night will need to be paid on the day on Sunday at the venue. Payment can be done on the day by cash or card (cash preferred). Casuals available after tournament ends. Inappropriate in-game aliases will not be tolerated, including names which have themes of discrimination, racism, sexism, profanity, drug use, are silly or too big in size. When you arrive at Escape Portal, please CHECK IN with PIKA FIRST to register your attendance and then PAY at the counter!!! Please ensure you park in the correct zones, as 2P has now commenced! !